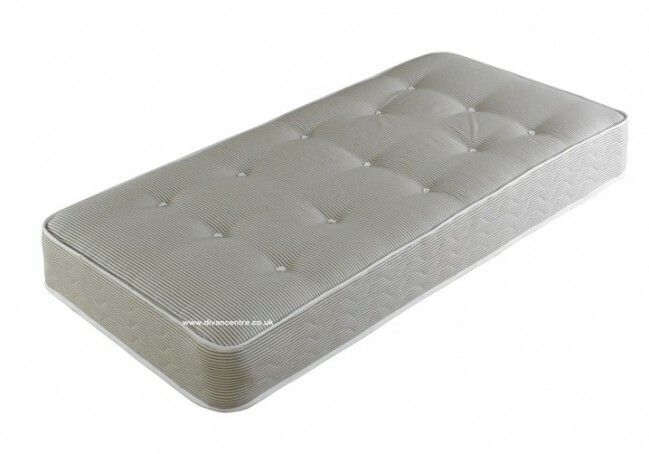 The Premiere Contract 2ft 6in Small Single Mattress is coil sprung, 25cm thick and makes for a luxuriously comfortably sleeping surface. Upholstered with multiple layers of Hypoallergenic orthopaedic fillings and edge to edge support creating ‘soft to medium’ firmness. Finished in a Crib 5 Cotton striped Damask.